Kilkenny castle is one of the largest and most important castles in Ireland's history dating from as far back as the first decade of the thirteenth century. 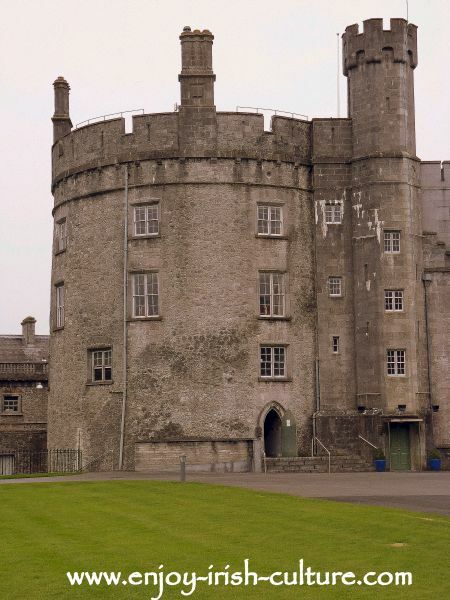 The castle was built on a raised plateau dominating the town of Kilkenny and a fording point in the river there. 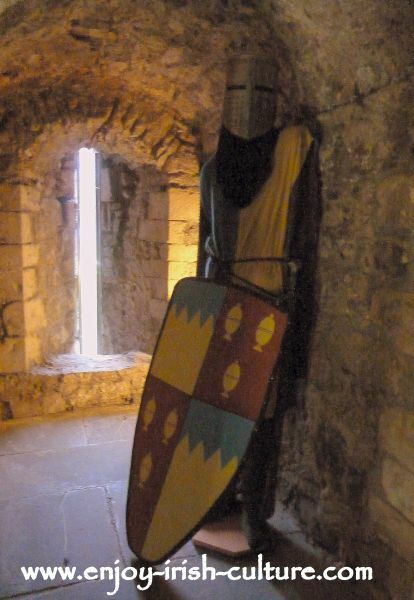 Originally built by William Marshal, 4th Earl of Pembroke, it became home to the powerful Butler Family, also Normans in origin who dominated much of the South East of Ireland for six hundred years from this stronghold. There is a self-guided tour of the castle interiors which includes the so called ‘medieval room’ in the basement of the North West tower which is the only surviving medieval part of the castle, then moving upstairs a couple of impressive stairways of different periods and designs, dining room, drawing room, library and withdrawing rooms as well as various bedrooms and bathroom facilities as of the 1830ies. Certain times of year access is by guided tour only, which we think would be a good thing that would enhance the visit. There are extensive gardens and parklands you can access free of charge if the castle tour doesn’t interest you. Kilkenny city is a 1.5 hour drive from both Dublin and Wexford, a 40 minute drive from Waterford, and approximately a 2 hour drive from Athlone, Limerick and Cork. 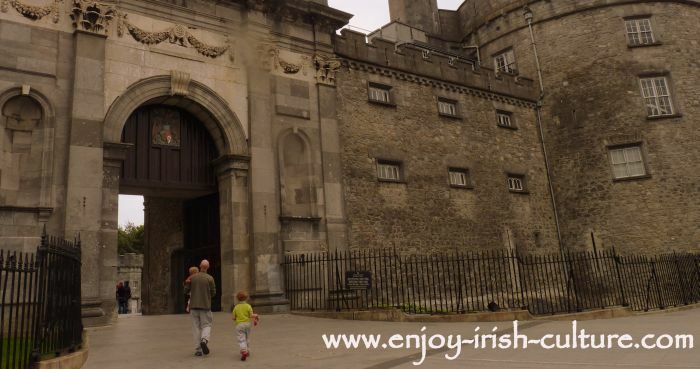 Access is through the main gate of the castle which is located on The Parade which is just off Patrick Street right in the heart of Kilkenny. 09.30 a.m. to 5.00 p.m.
09.30 a.m. to 5.30 p.m.
09.00 a.m. to 17.30 p.m.
09.30 a.m. to 17.30 p.m.
09.30 a.m. to 4.30 p.m.
Plan about an hour and a half for your visit including the audio visual show which well worth attending to see the venue alone. It is presented in a basement room of one of the towers. Ticket Prices are double that of other OPW sites. That’s how they set the prices for their busy sites, (compare the Rock of Cashel). Adults pay €6.00, children over 6 and students pay €2.50, and a family ticket costs €14.00. Unlike most other medieval castles in Ireland, Kilkenny castle was neither ‘decommissioned’ by Cromwell whose soldiers knocked down the battlements and broke the spiral staircases of many a castle, nor abandoned when the era of medieval castles concluded. Instead, the Butler family continued to make architectural changes throughout the centuries adapting the castle to new standards and fashions as they arose. All the large windows for example were added after the age of siege war fare after the onset of the use of cannons and muskets. As a result, the castle presents a wild mixture of architectural styles. As the fashions changed throughout the ages, so did the usage of rooms at the castle along with their names. If you are a fan of the medieval castles of Ireland (like us), Kilkenny Castle is not the exactly pinnacle of excitement. 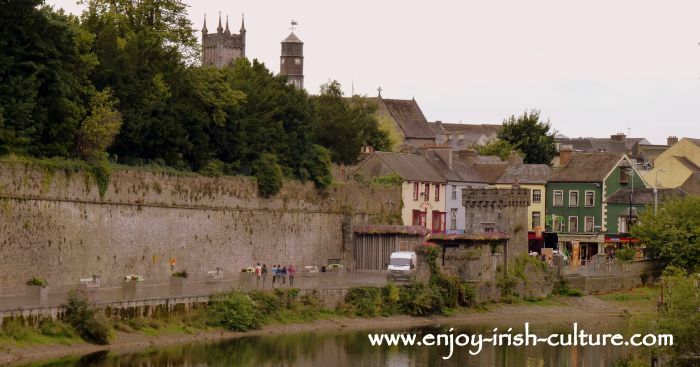 You would be better advised to visit somewhere like Cahir Castle, or Bunratty. Yet Kilkenny Castle is a unique Irish heritage site because the era of medieval castles and the era of the big house both took place in the same building here and both left their traces. Kilkenny Castle remained a residence for nearly 600 years which is unique and the main reason we recommend you go visit the castle. Find out how to build a medieval castle, how to defend and attack one, and learn medieval Norman castle vocabulary. Don’t forget to bring cash for tickets and any purchases from the gift shop at reception. The OPW don’t take Laser or credit cards which really would be so much more convenient at this day and age. Look out for days you can access the castle for free, such as during Heritage Week, or on the first Wednesday of every month. If you are bringing the family, the savings are worthwhile. On a fine day, a picnic in the gardens or parklands makes for a fine break or end of the day. There is a nice playground if you are bringing young kids. There is a lovely walk through the park by the riverside back into town that we would recommend for nice views onto the castle. The river walk, thext to the curtain wall. Follow the walk and find the River Court Hotel on the opposite bank for food or cups of tea on the terrace which has a prime spot for castle views. Make time for a visit to Rothe House on the same day, the best preserved Renaissance town house in Ireland, very impressive. Before you go, find out more about Kilkenny Castle, it's history under the Butler family, and about the medieval castle, so that you'll know what to look out for. 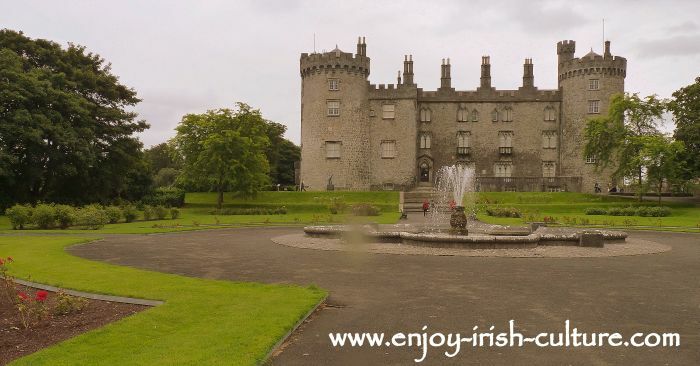 We hope you liked our article on Kilkenny Castle! If you like what we do on this website, how about giving a social shout out to your friends so they, too can find us and enjoy these pages.